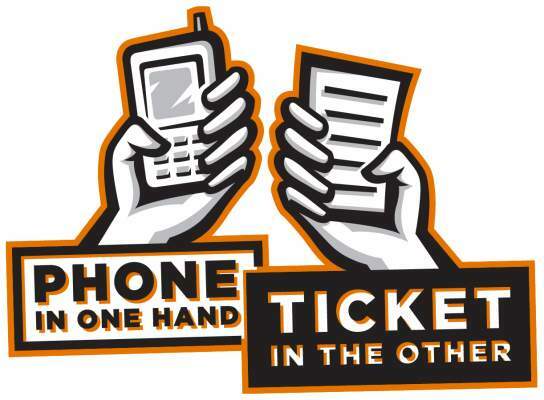 IRVINE, CA (April 2, 2014) – In support of the California Office of Traffic Safety’s Distracted Driving Awareness Campaign, the Irvine Police Department will be offering “zero tolerance” to those texting or operating hand-held cell phones during the month of April. Drivers who break the law and place themselves and others in danger will be cited. Traffic officers will be on alert all month for distracted drivers and will be conducting special high visibility enforcement operations on April 3, 8, 17, and 22. The current minimum ticket cost is $162, with subsequent tickets costing at least $285. Distracted driving is a serious traffic safety concern that puts everyone on the road at risk. As a result, law enforcement across the State, including the Irvine Police Department is cracking down on texting and cell phone use. This April will see over 225 local agencies and the California Highway Patrol conducting zero tolerance enforcements. According to the California Office of Traffic Safety (OTS), drivers who use hand-held devices are four times as likely to get into crashes serious enough to injure themselves. Younger, inexperienced drivers under 20 years old have the highest proportion of distraction-related fatal crashes. Additionally, studies have shown texting while driving can delay a driver’s reaction time just as severely as having the blood alcohol content of a legally drunk driver. The Irvine Police Department Traffic Bureau urges drivers to keep cell phones out of reach, to consider if someone may be driving before you call or text them and to plan your route prior to getting into the car.